Welcome to Reedley College! For over 85 years, Reedley College has been helping students achieve their life goals and dreams through four-year academic transfer preparation, career technical education, and upgrading life and job skills. The college offers over 100 associate degree and certificate programs that can help students reach their next step in life. I hope you will spend a few moments to take a virtual tour of the college’s academic, CTE, and athletic programs as well as our fine facilities in Reedley, Madera and Oakhurst. Reedley College is a multi-site, comprehensive, accredited community college with our main campus in Reedley, and two additional campus centers in Madera and Oakhurst. As a residential campus with active student activities and athletics, Reedley College provides a comprehensive collegiate experience that is both affordable and accessible. Ranked #2 in California for campus safety by State Univeristy.com, we offer a safe and welcoming learning environment. With each link in the College’s website, you will notice that Reedley College takes pride in its high academic standards, its excellent programs and services, as well as our friendly and helpful staff and faculty. Our size gives us the advantage of being able to ensure that our students benefit from all the individual attention you will need to be successful. Our faculty members are highly qualified in their fields and take pride in helping our students achieve. In addition, Reedley College maintains a guaranteed transfer agreement with colleges and universities in California and throughout the nation. Believing in a “student centered” approach, the college offers an array of free student services including financial aid, tutoring, academic advising, career and transfer counseling, and job-seeking assistance. Students are also encouraged to get involved in student life by participating in Associated Student Government, Pete P. Peters Honors Program, Alpha Gamma Sigma Honors Society, as well as many other clubs and activities. Reedley College athletic teams are nationally recognized. Go Tigers! Students can participate in football, baseball, softball, women’s volleyball, men’s and women’s basketball, men's and women's tennis, equestrian, women's soccer, and men's and women's golf. Reedley College is committed to assisting each student athlete in attaining academic success. We have developed a support service, the Student Athlete Retention Program (S.A.R.P. ), which has a proven track record. Located at the foot of the Sierras and bordered by the Kings River, Reedley College is 30 minutes southeast of Fresno. The college’s location near mountains and farmland permits the natural surroundings to become part of the learning environment. The forestry students manage an 800-acre forest at Sequoia Lake and the agriculture students work on the campus’ 300-acre farm. Just this year, a partnership between the Ag Department and industry partner, Bari Oil of Reedley, bottled the college’s first production olive oil. Students have options to pursue programs in agriculture economics, mechanized agriculture, farm management, forest recreation, wildlife management and animal science. Reedley College has outstanding math, science, and engineering programs as well as programs in fine arts, humanities, social sciences, and foreign languages. The Aviation Maintenance program boasts a 20,000 sq. ft. hanger allowing for hands on training. The Equipment Service Technician Program is designed to meet industry specific standards and has a 90% job placement rate. In addition to our Nursing Assistant Training program, we offer a Registered Dental Assistant Certificate which can be completed in 10 months. Our Health Care Interpreter students are certificated after two semesters. Our licensed child care facility prepares students for careers in child development or teaching. In our Business Department, we have students who are successfully opening their own businesses and some with outside funding sources, as a result of the Reedley College Entrepreneurship Center. The center offers a library of startup guides, audio equipment, visual aids for photographing products, a 3D printer, and entrepreneur workshops, and is open to the public. Students who would like to earn a high school diploma and college credit simultaneously may want to attend our Reedley Middle College High School. RMCHS's pathway of study is for high school students interested in agricultural business or business administration. 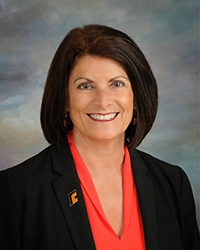 Some of the region’s most prominent civic and community leaders are Reedley College graduates, and in many families there are second and third generation Reedley College students. Again, welcome to Reedley College’s website. We look forward to meeting you and helping you achieve your dreams.